Shamrock Rovers will start life under new manager Pat Fenlon this evening as they take on Derry City at Tallaght Stadium. This will be Fenlon’s first game in charge having taken over in midweek, following the departure of Trevor Croly. The new Rovers manager starts his time at Tallaght with a new full-strength team to choose from. Marty Waters is Rovers' only injury concern with a slight back injury while there are no suspensions to be served. Speaking ahead of the game, new manager, Pat Fenlon told Rovers’ official website: “I was delighted to get the job during the week and I am very much looking forward to the first game tomorrow night. Derry meanwhile have several fitness concerns with four of their first choice starters struggling with injuries. Manager Petter Hutton revealed: ““Patrick McEleney has a dead leg and Michael Duffy has a very tight hamstring. League leaders Dundalk will be hoping to continue their fine recent form as they take on local rivals Drogheda in the Louth derby. With second place playing third as St Patrick’s Athletic take on Cork City, Dundalk will be hoping to extend their lead over the chasing pack at the top. Manager Stephen Kenny is waiting on the fitness of Simon Kelly who is a doubt with a calf injury. There’s better news elsewhere; however, as Donal McDermott has shrugged off his muscle problem which saw him limp out of Monday’s Cup semi-final victory, while Richie Towell is available for selection following his one-match suspension for accumulating four yellow cards. 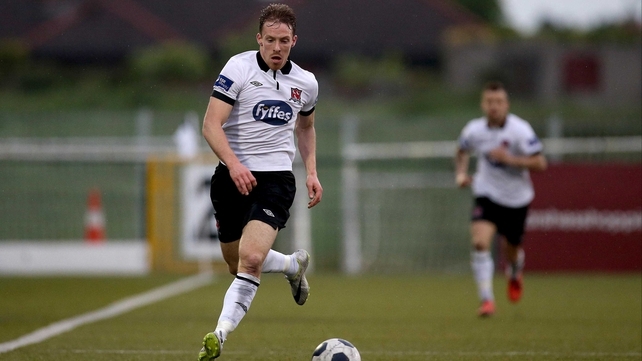 Stephen Maher remains doubtful for Drogheda as they welcome Dundalk. Paul Andrews is available having served a four-match suspension for his dismissal in the defeat to Sligo Rovers last month. The Drogs come into this game on the back of an impressive 4-0 victory over UCD and new manager Damien Richardson is hoping for a similar display against their local rivals. “Confidence is high amongst the players as it has been a very optimistic week for all involved with Drogheda. The players are starting to realise that they are capable of special performances, both individually and collectively, but what they need to augment is the individual demands that they place on themselves,” he said. Cork and St Pat’s will both be hoping to claim a victory that will keep up the pressure on Dundalk when they meet at Turner’s Cross. 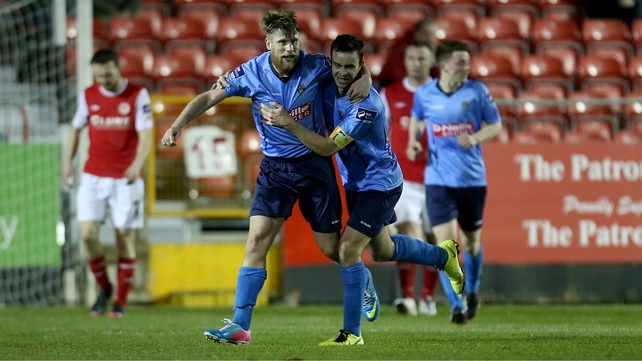 Second-placed City will be without Michael Rafter and Darren Murphy who remain sidelined, while Rob Lehane is also out once again with an ankle injury. Gavin Kavanagh is a doubt for City as well, having picked up a knock during training, while Garry Buckley will miss out as he serves the first of an additional two-match ban for his sending off in the EA Sports Cup. Brian Lenihan is also missing, as he continues his recovery from the concussion he sustained against Bohemians. The Saints have selection concerns of their own and manager Liam Buckley is without the services of both Sean Hoare and Chris Forrester who both serve a one-match suspension. Ken Oman is a doubt with a calf strain and will be assessed before the game to determine his availability, Buckley is boosted by the return of Republic of Ireland international Keith Fahey from suspension. The St Pat’s boss is expecting a testing encounter and said: “Turner’s Cross is a great venue to play football though, as the pitch there is always in great condition and the crowd always get behind the home team and make some noise. Relegation haunted UCD take on Bohemians in the evening’s other game and will be desperate to put some distance between themselves and bottom side Athlone. The Students have a lengthy injury list. Certain to miss the clash with the Gypsies are Dean Clarke while defenders Tomas Boyle and Mark Langtry are also out. Ian Ryan and Samir Belhout will both face late fitness tests, but there is better news elsewhere as Hugh Douglas and Colm Crowe both return from suspension. 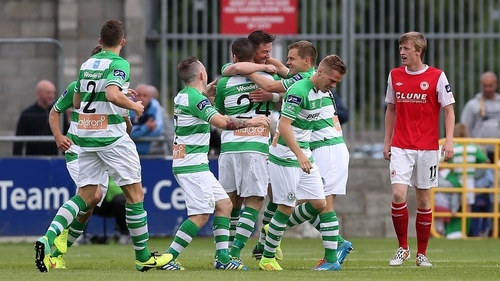 The Gypsies are hoping to put a difficult week behind them after they suffered a 4-0 defeat to Derry before going down 2-0 to fierce rivals Shamrock Rovers in the EA Sports Cup semi-final. 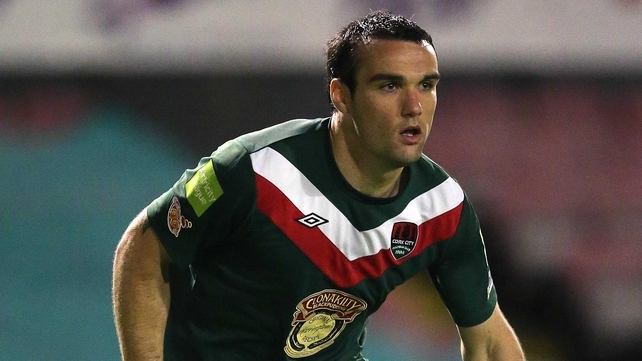 Bohemians manager Owen Heary is expected to have a full squad to choose from after Daniel Byrne’s recovery from tonsillitis. Kevin Devaney is also back in contention after a knock kept him out of Monday’s game. Heary is expecting an immediate response from his side and said: “We shifted six goals last week, which is unlike us. "We’ve worked hard this week to try and rectify that. It’s about getting back to doing what we were doing.